Knockando was built in 1898 and its name is derived from the Gaelic for ‘little black hillock’. 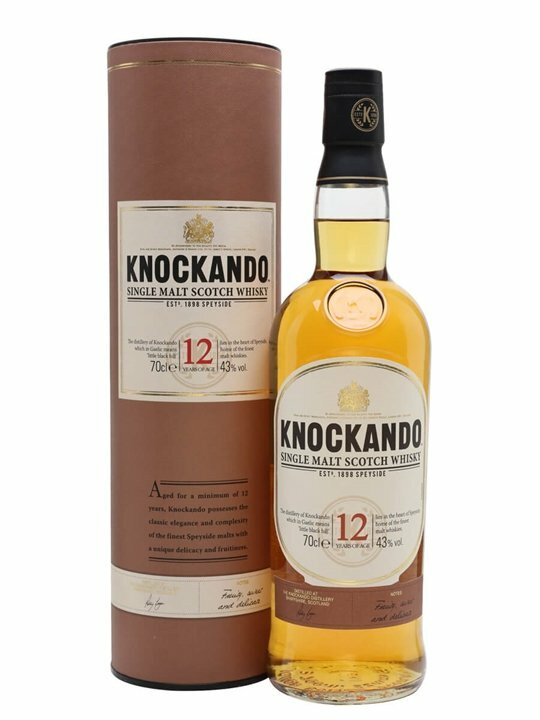 Relatively little-known in the UK Knockando is in fact Diageo’s fifth best-selling malt due to its enormous popularity in France and Spain. Despite this popularity less than 10% of production is kept for single malt as the remainder is required for the J & B blend, of which Knockando is the heart. 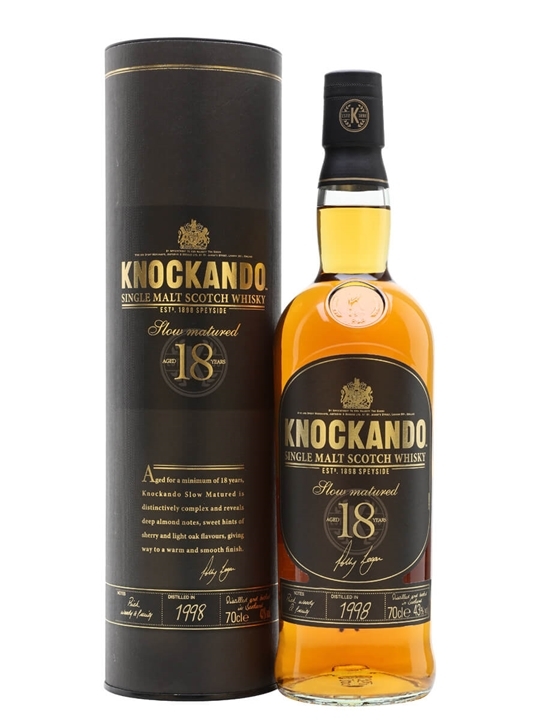 Knockando belongs to the lighter style of Speyside whiskies and for its standard bottling takes the unusual step of declaring the vintage, as well as the age, of the malt in the bottle. Summary: Knockando 12 Year Old Speyside single malt Scotch whisky. Subtle, fruity single malt which bears all the hall marks of the finest Speyside malts. 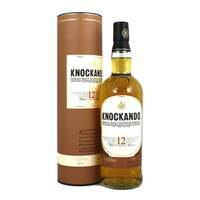 Summary: On the nose, Knockando is light and nutty/malty with some green pear, straw, dry spices. Estery and crisp.  On the palate it is equally light and nutty with a touch of milk chocolate in the mid-palate. 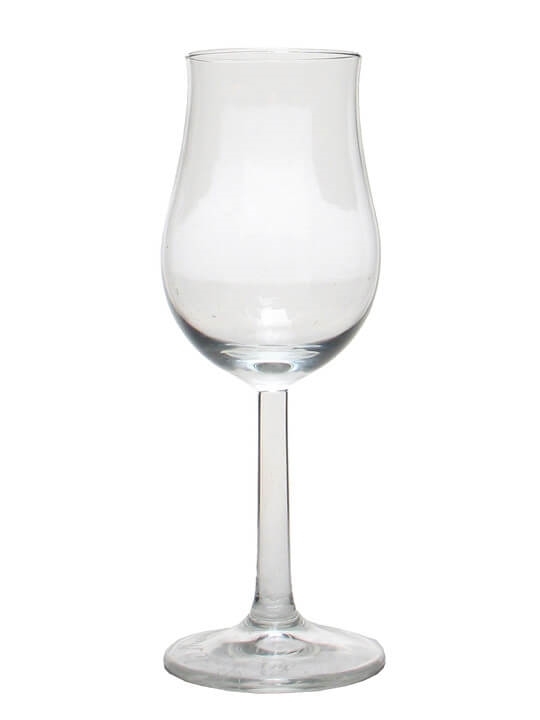 Soft, easy and ultra-clean with a crisp, short and dry finish. Simple, attractive and easy-drinking. Summary: 70cl / 43% / Distillery Bottling – Formerly carrying a vintage, Knockando's ongoing bourbon-cask bottling has now been released as a 12 year old. Light and fruity with spicy hints. 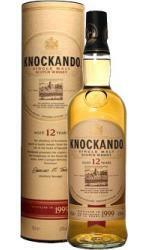 Summary: 70cl / 43% / Distillery Bottling – Knockando is known for its bottlings of vintage whiskies. This one was matured in ex-bourbon and -sherry casks and bottled in 2016 as part of the ‘slowly matured’ series. With aromas of sultanas, figs and orange peel, and cinnamon, nutmeg and cloves on the palate, this whisky has plenty of punch. Try this with a strong blue cheese. 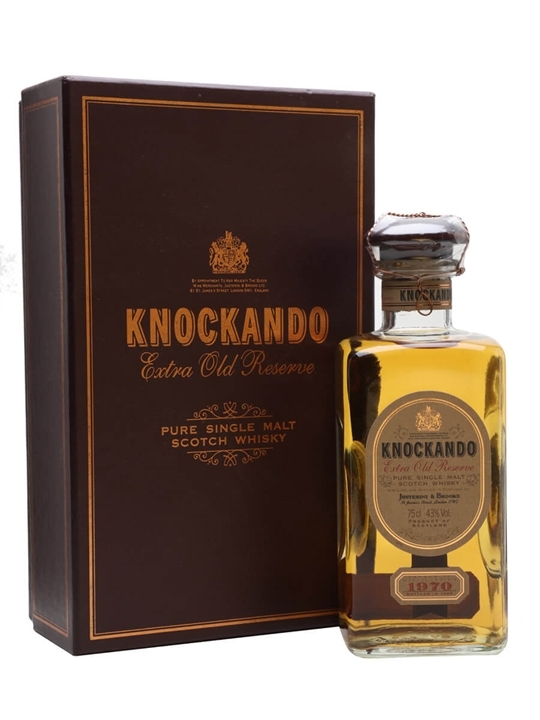 Summary: 75cl / 43% / Distillery Bottling – An old bottling of Knockando whisky, distilled in 1967 and bottled in 1979 at around 12 years of age. 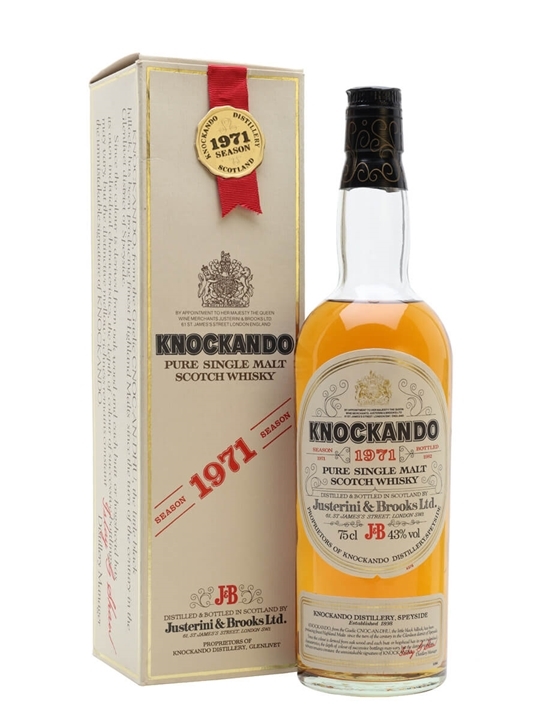 Summary: 75cl / 43% / Distillery Bottling – An old bottling of 1971 vintage Knockando, a distillery which predominantly bottles by vintage rather than age. This was bottled in 1982 at around 10 years of age. 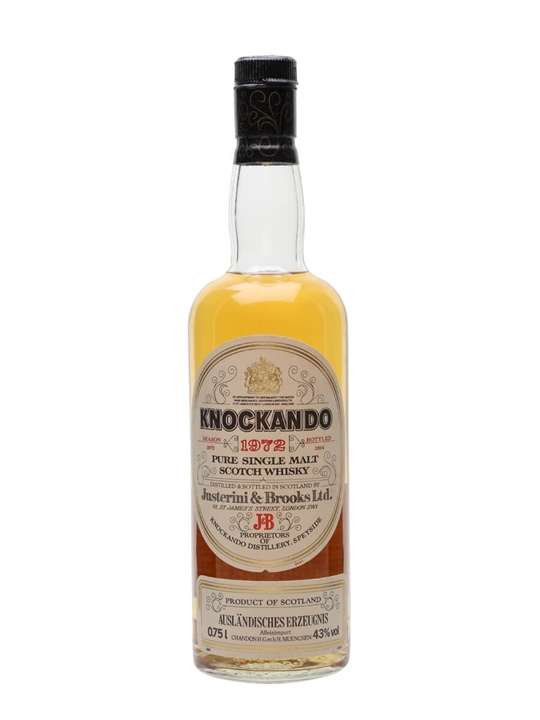 Summary: 75cl / 43% / Distillery Bottling – An old release from Knockando distillery. This whisky was dsitilled in 1972 and matured for around 12 years. 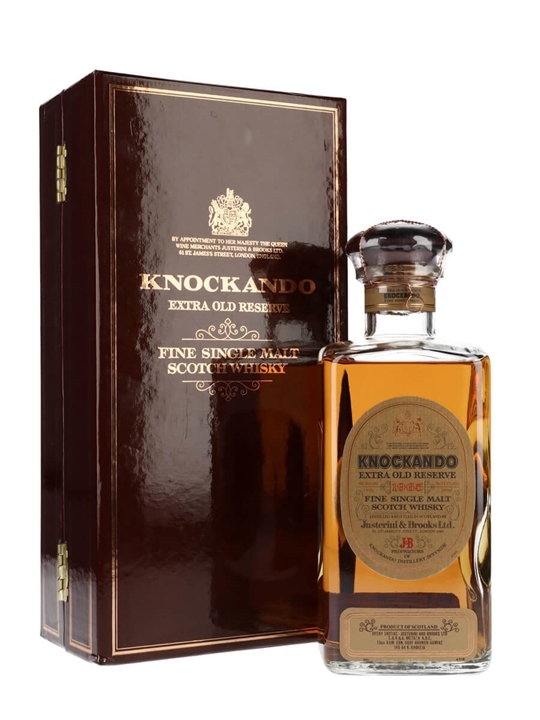 Summary: 75cl / 43% / Distillery Bottling – A bottling of Knockando's 25 year Extra Old Reserve whisky, distilled in 1970 and bottled in 1995.